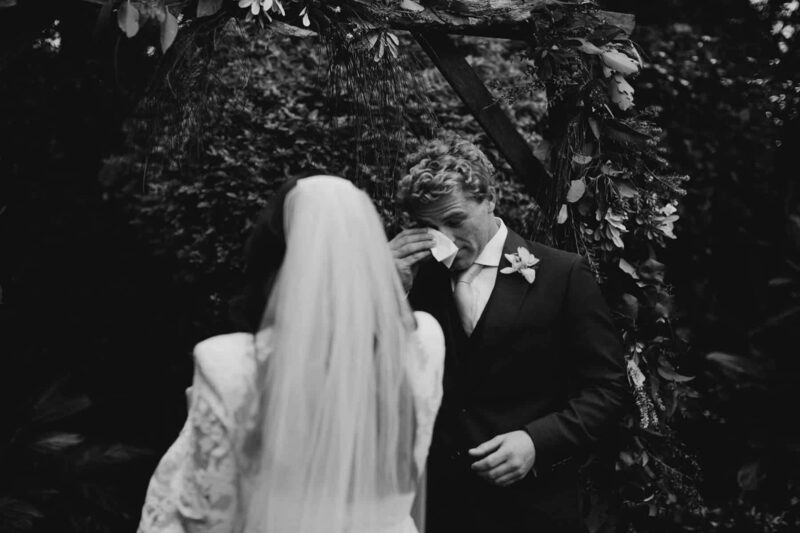 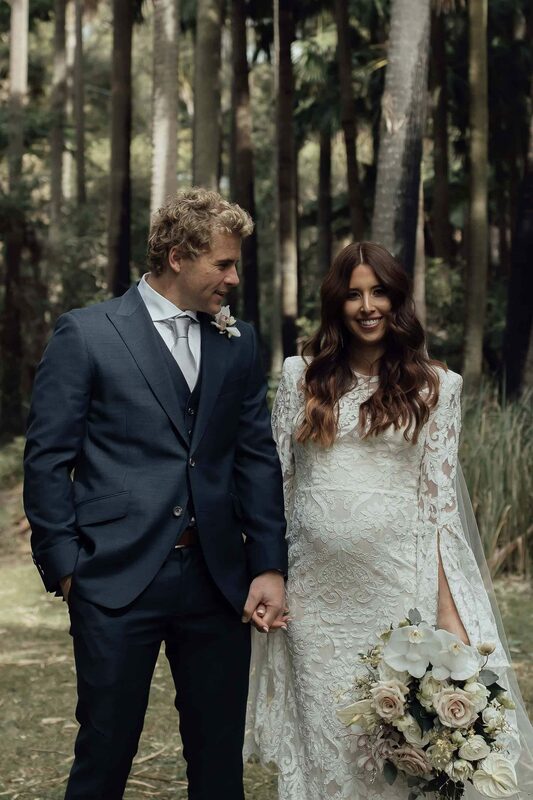 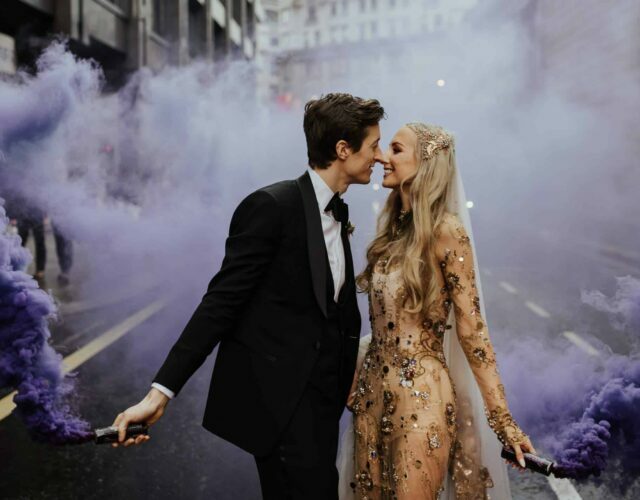 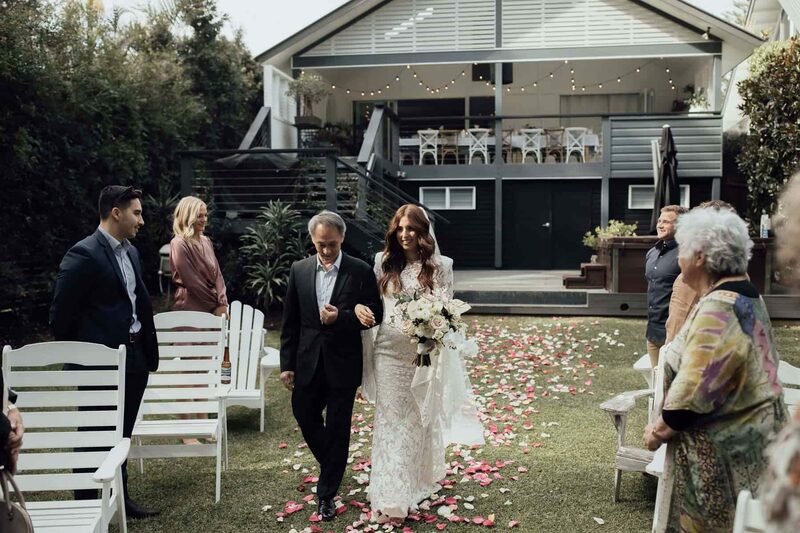 Sophie and Baden celebrated the forthcoming arrival of their baby boy by tying the knot surrounded by their closest loved ones in an intimate celebration at home. 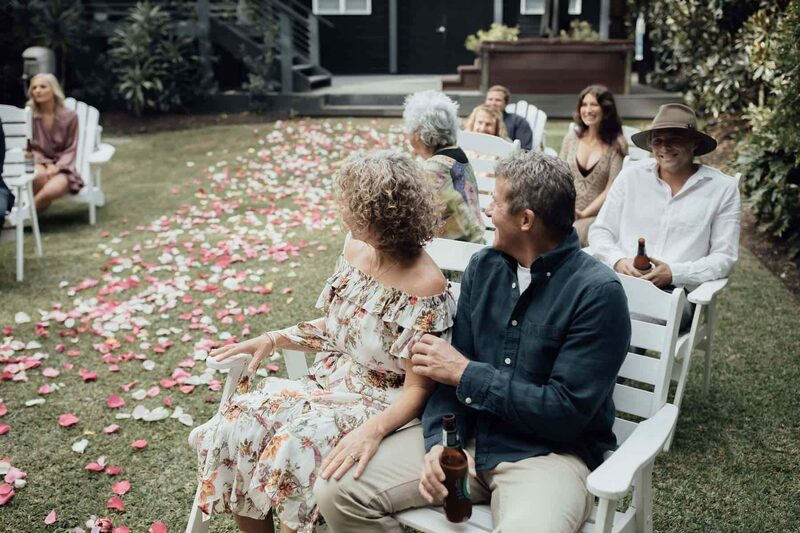 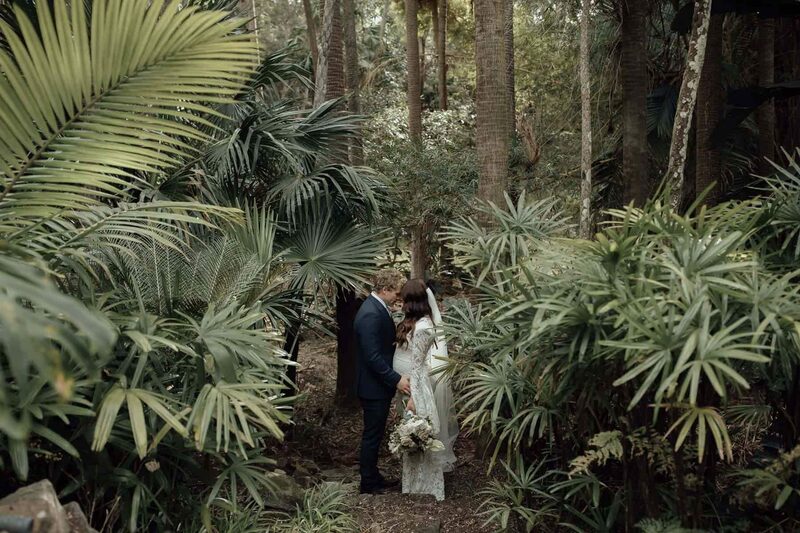 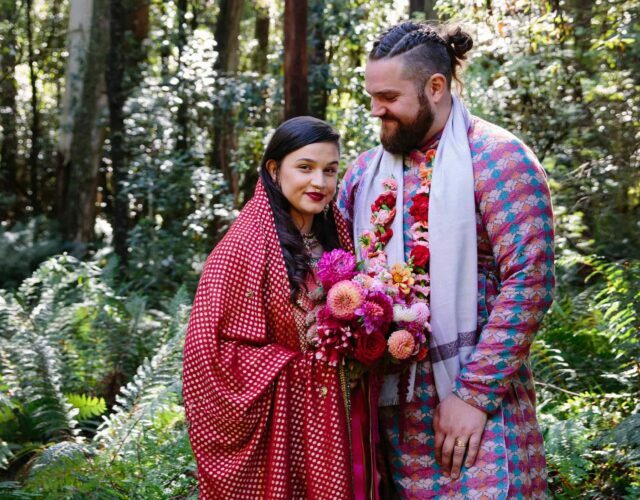 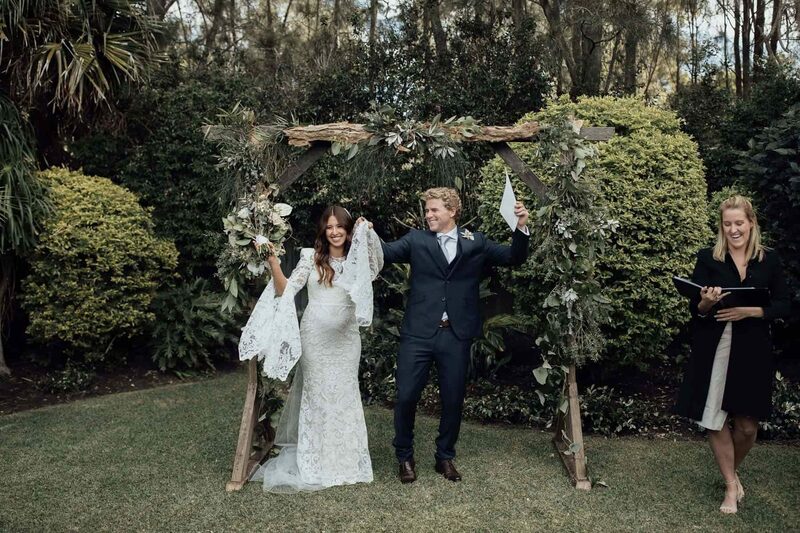 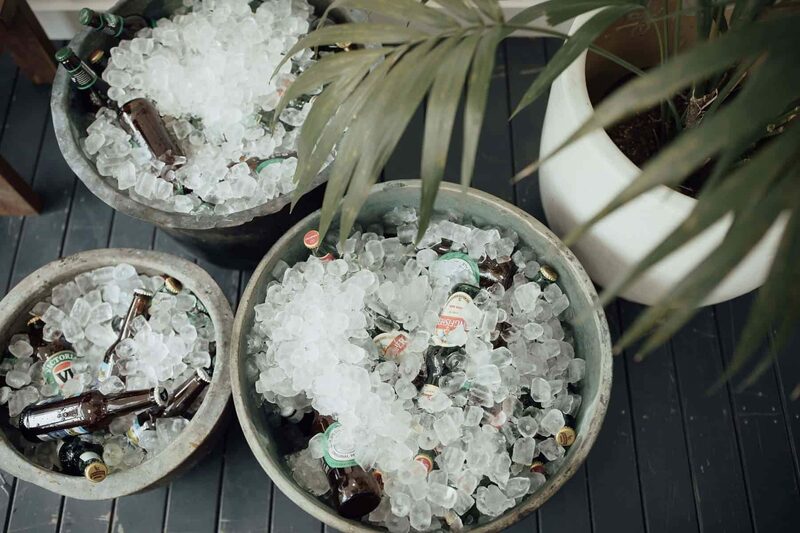 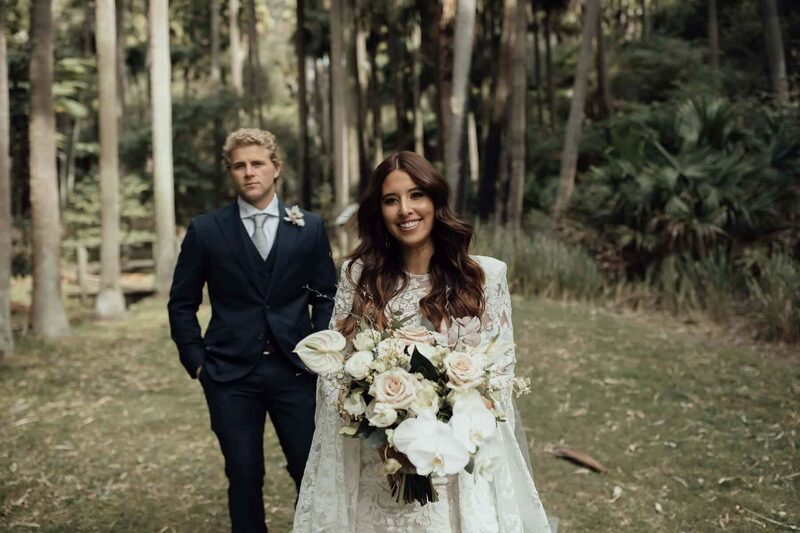 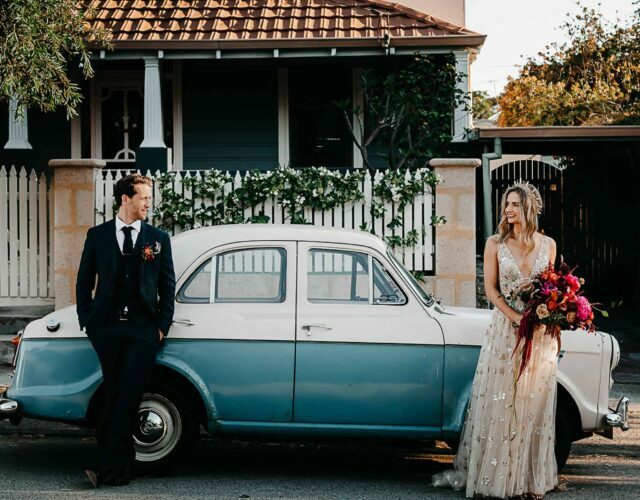 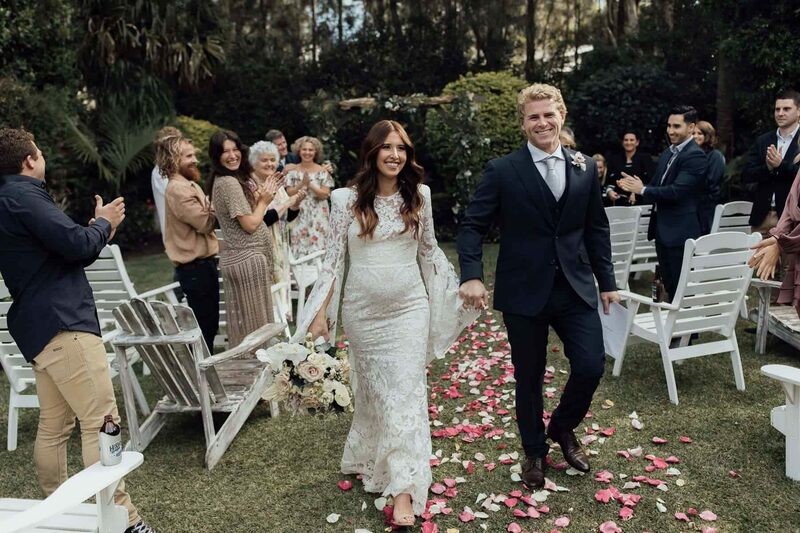 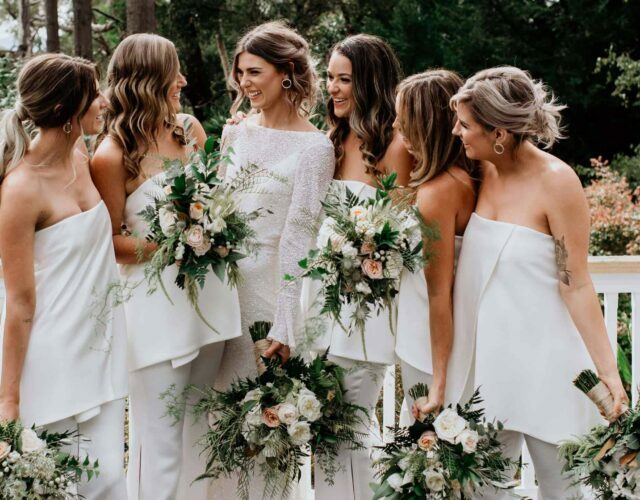 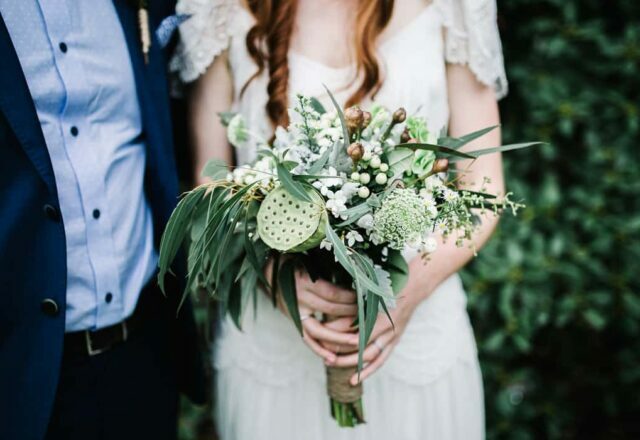 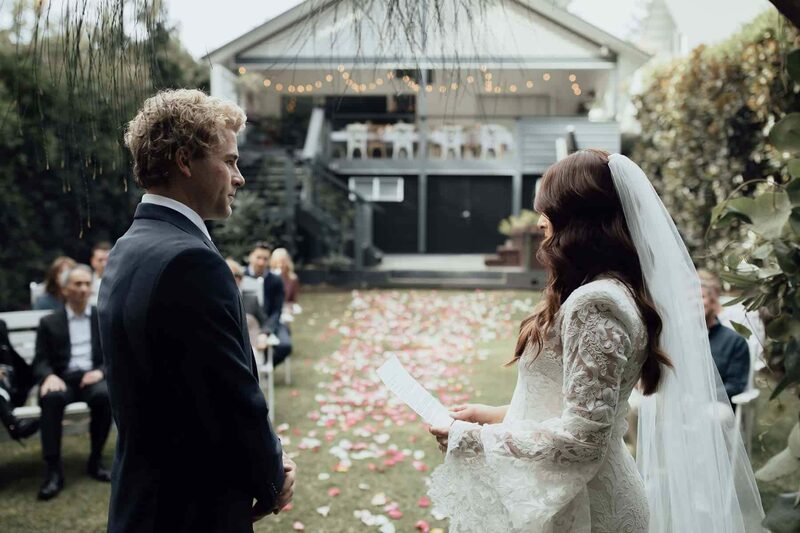 Making use of their picture-perfect backyard in coastal Sydney suburb, Avalon, they said their forevers amongst lush greenery, with photographer Jimmy Raper capturing all the romance, and the cutest baby bump! 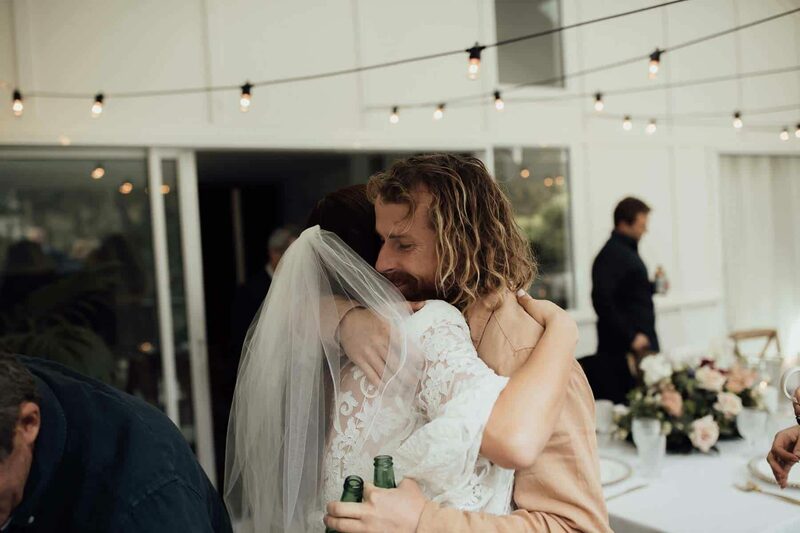 Small and simple was key, and the resourceful couple kept costs down by using furniture and design elements they already had at home, could make themselves or borrow from friends. 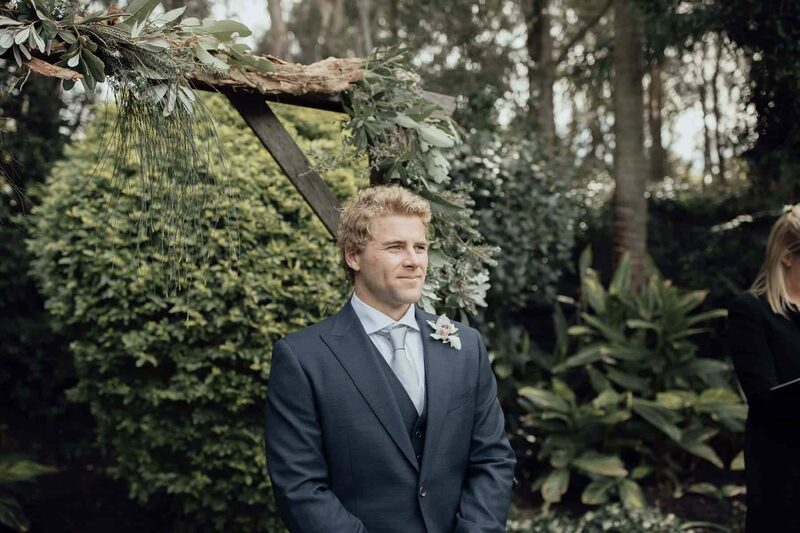 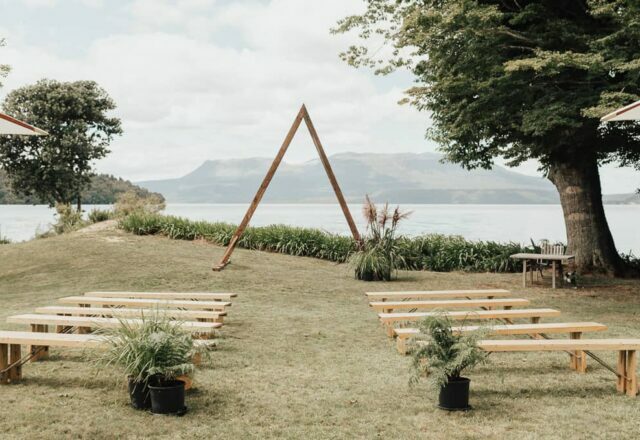 A family affair in more ways than one, the groom’s brother made their wedding arch from recycled timber, with his grandmother decorating with foliage foraged from the backyard. 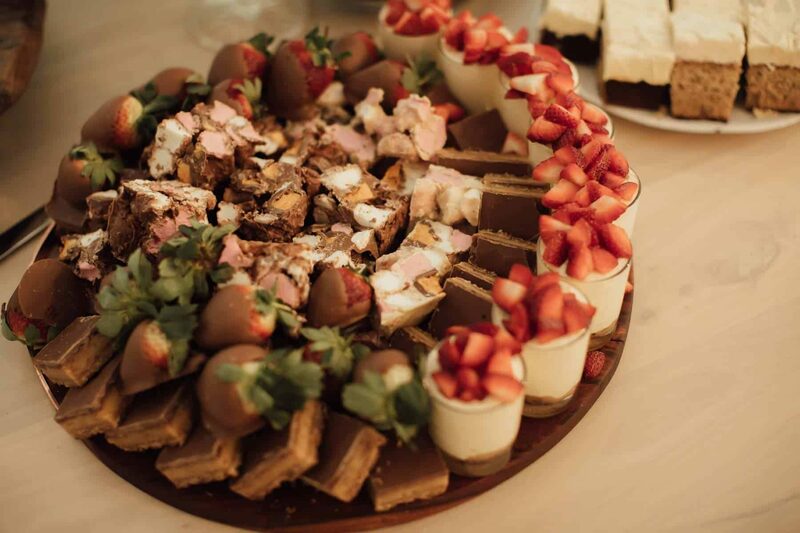 Moving to the deck for their reception, Blonde Butler provided a grazing spread and delicious dessert table for guests to help themselves to. 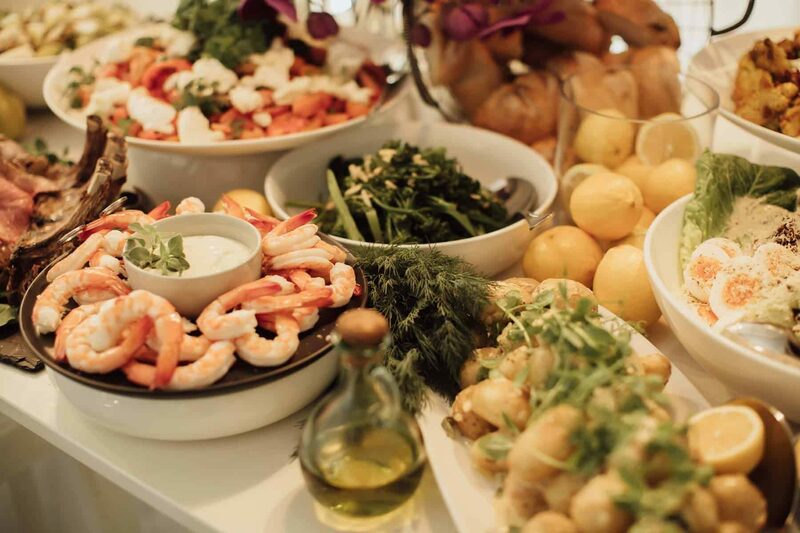 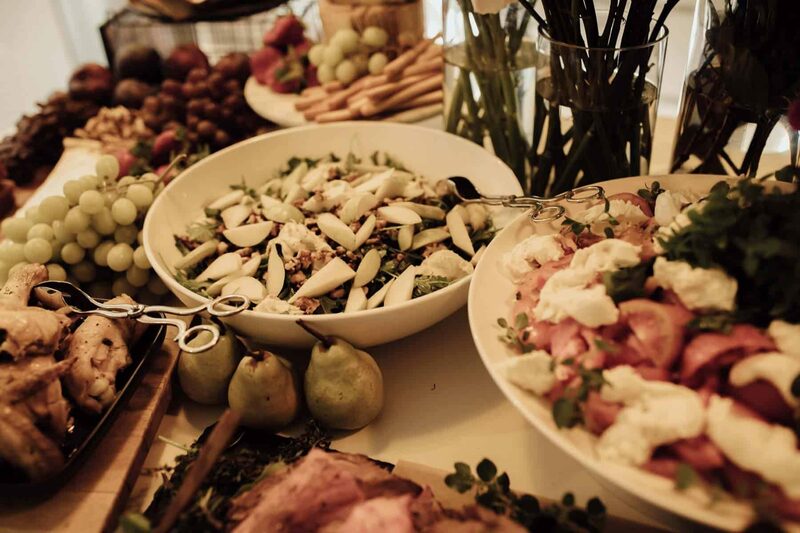 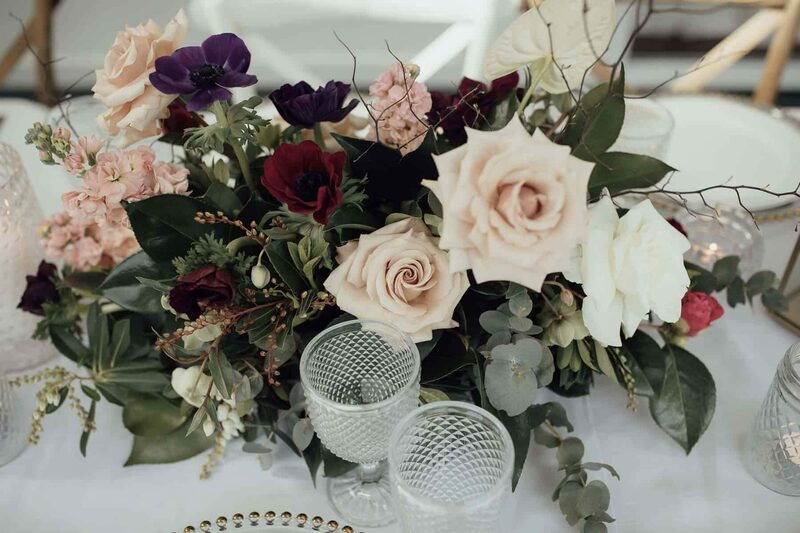 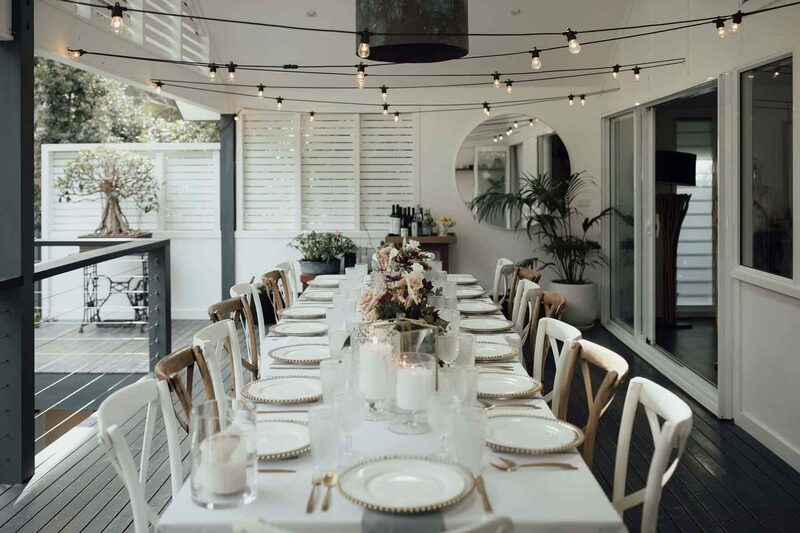 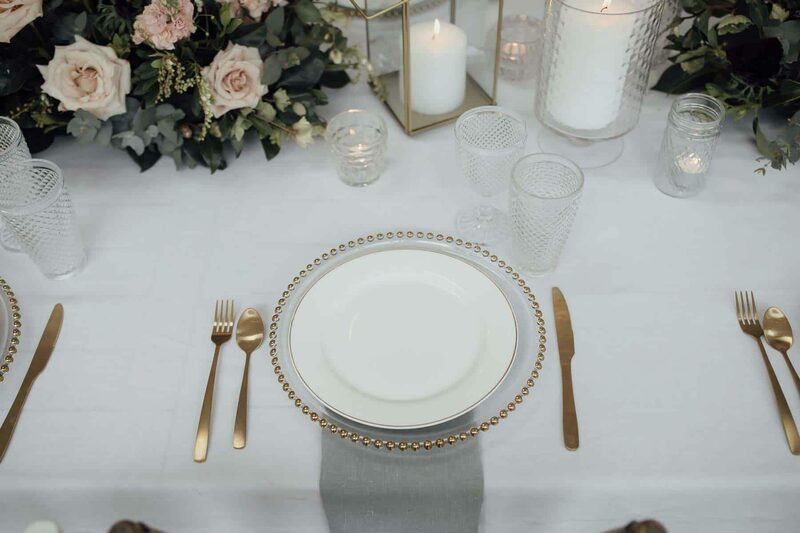 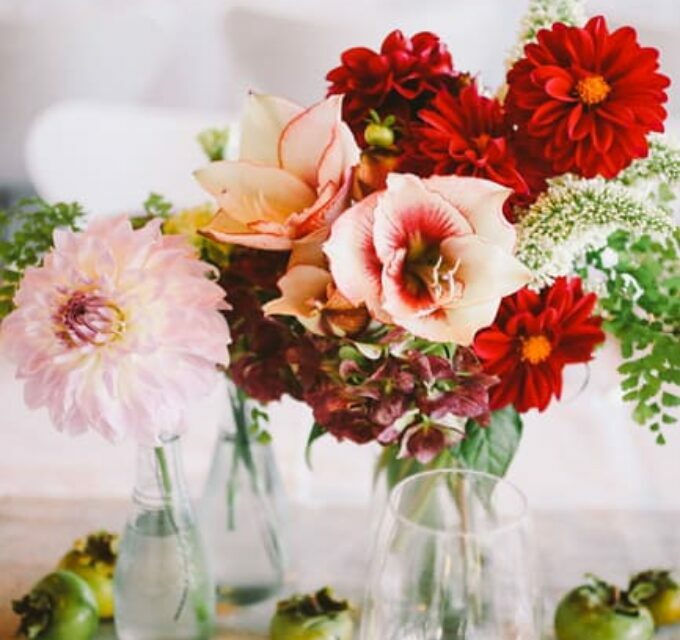 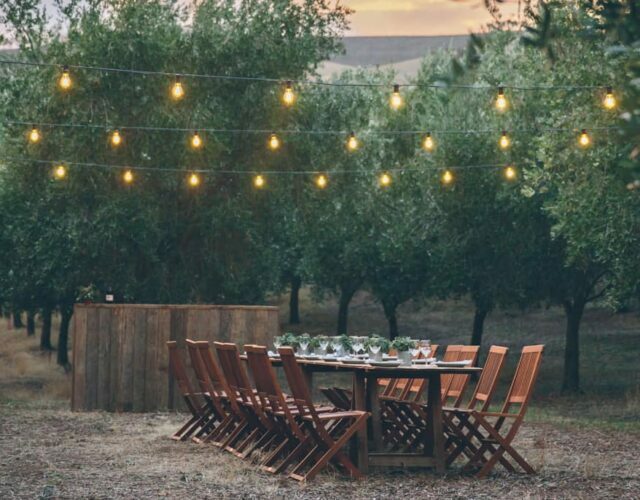 For their intimate family lunch, the couple set up a long table provided by bespoke hire Simply Seating, and decorated with blooms and candles for the cosiest of vibes. 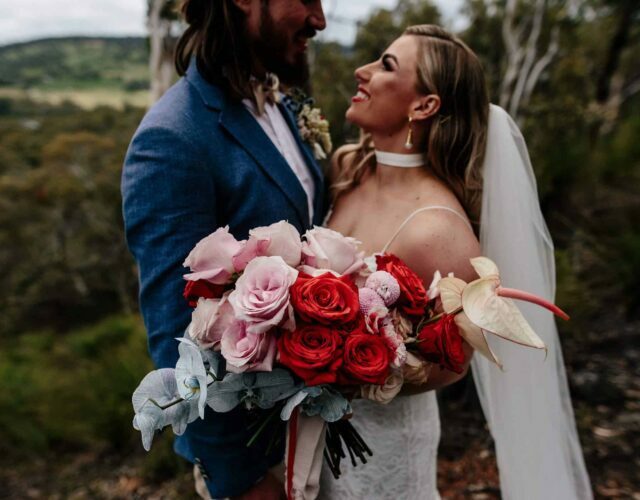 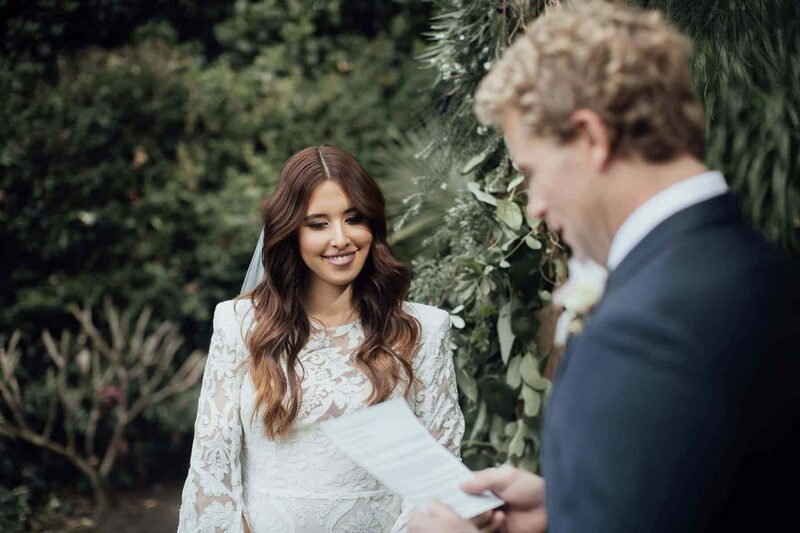 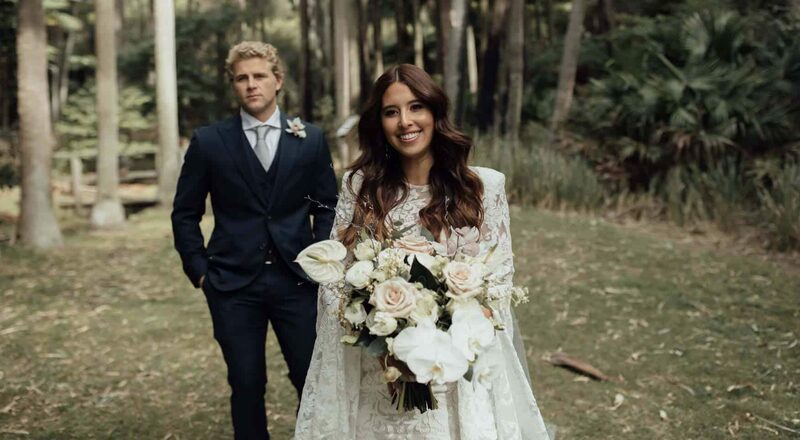 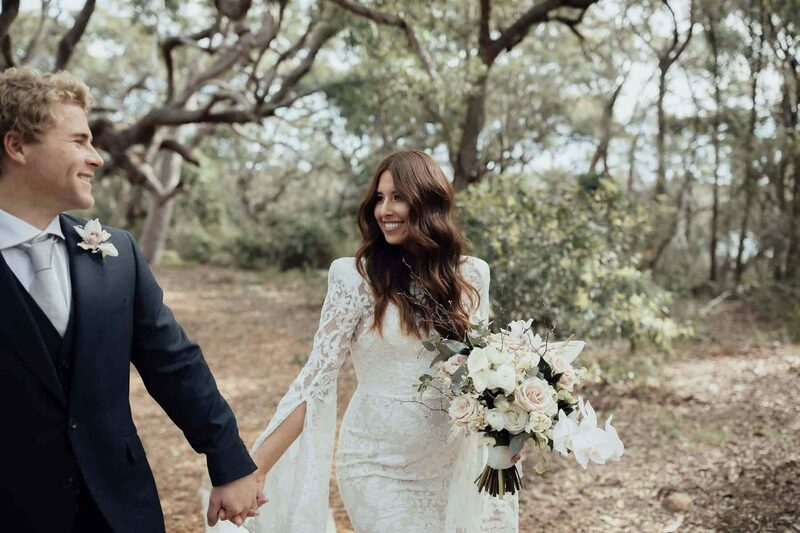 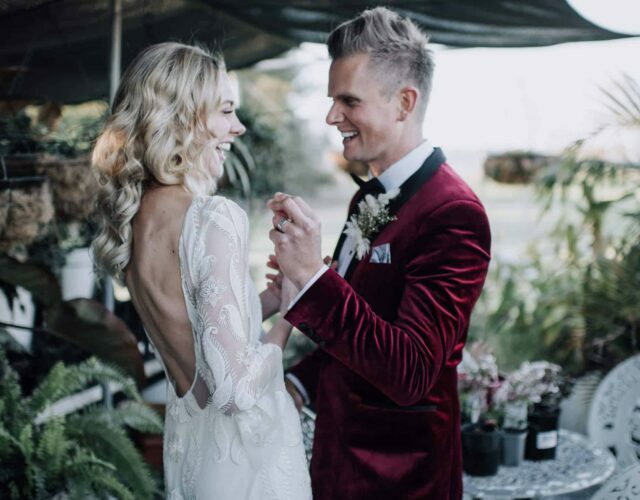 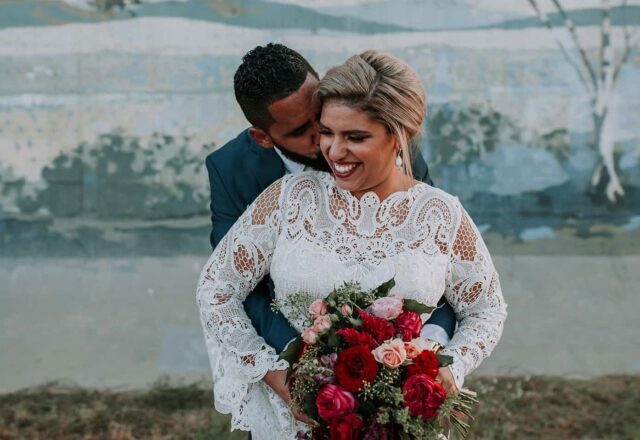 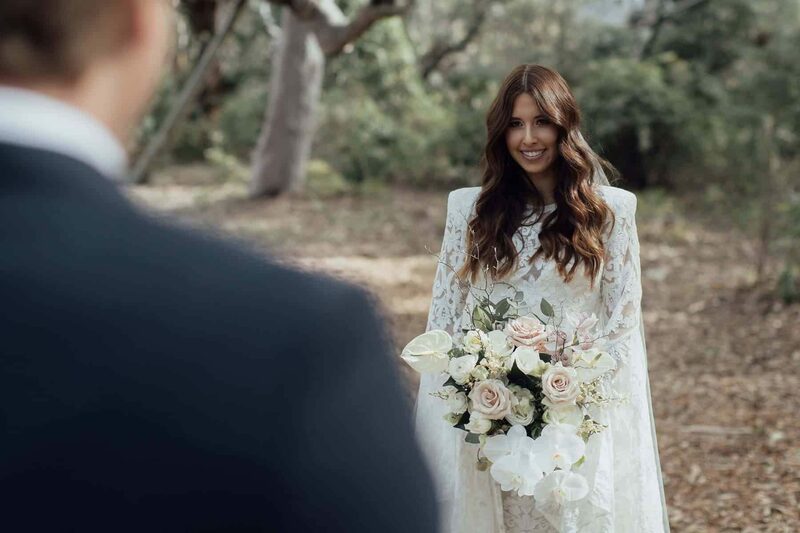 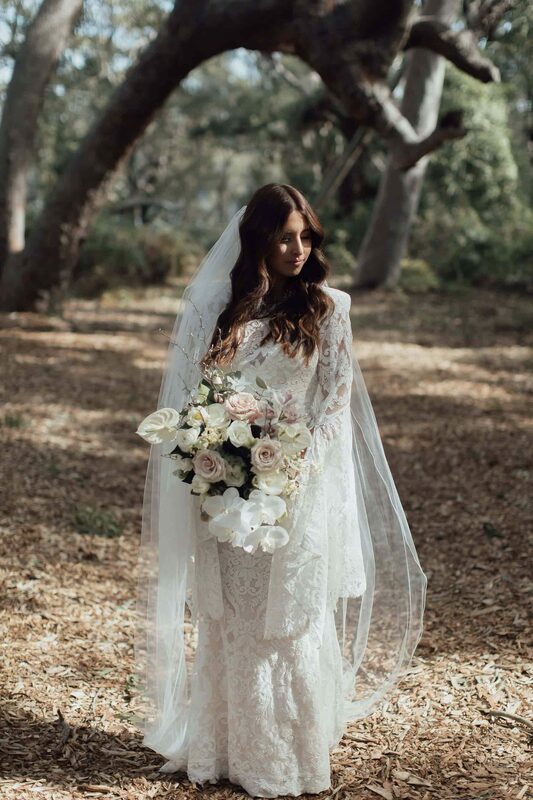 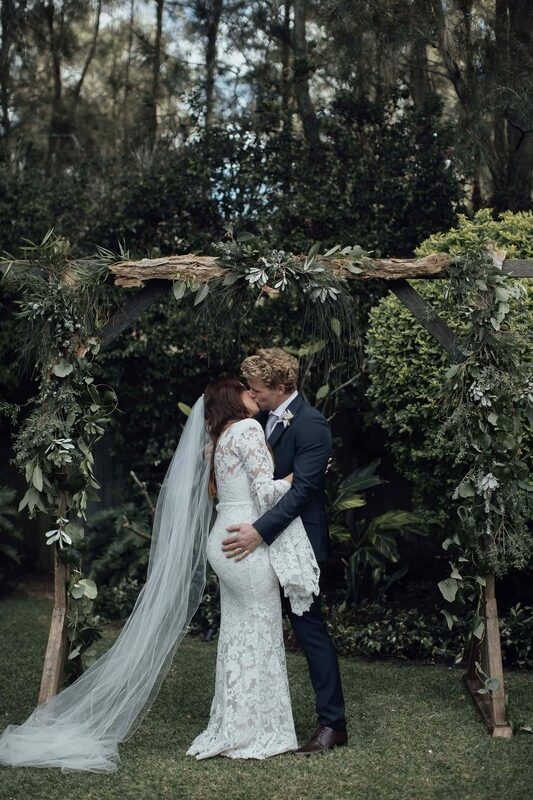 For timeless bridal style, Sophie wore a bell sleeved, fitted lace wedding dress by Alex Perry, which showed off her gorgeous bump perfectly. 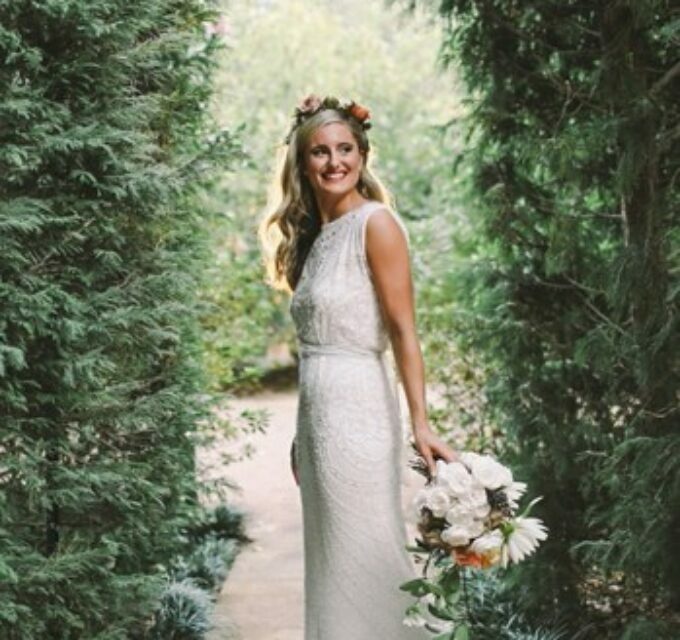 Her cascading waves were thanks to Em Witte at Salon W, with romantic beauty courtesy of Makeup by Drew. 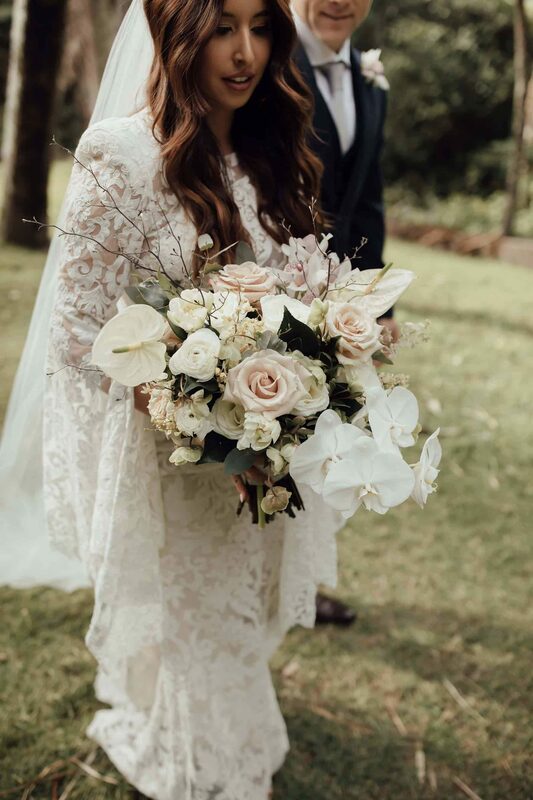 Holly at Ipsen Botanica created Sophie's gorgeous bouquet, which featured white anthuriums, quicksand roses and trailing phalaenopsis orchids. 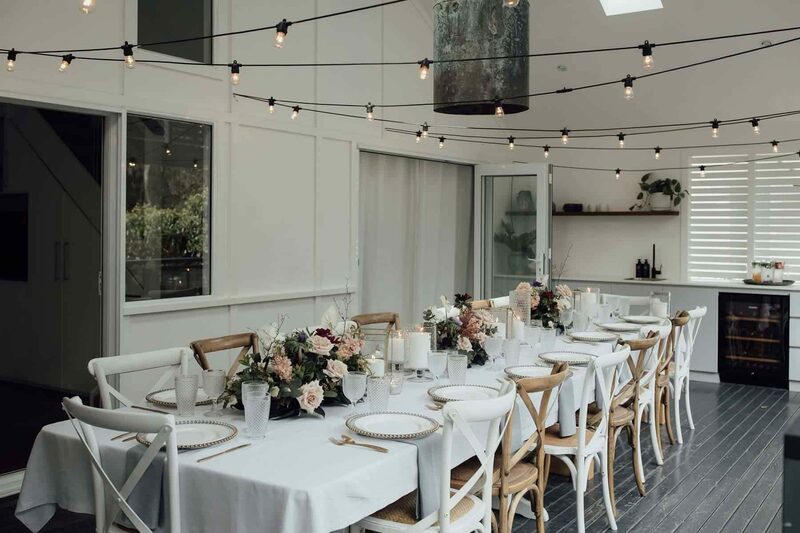 Sophie and Baden's deck was the perfect spot for an intimate family lunch. 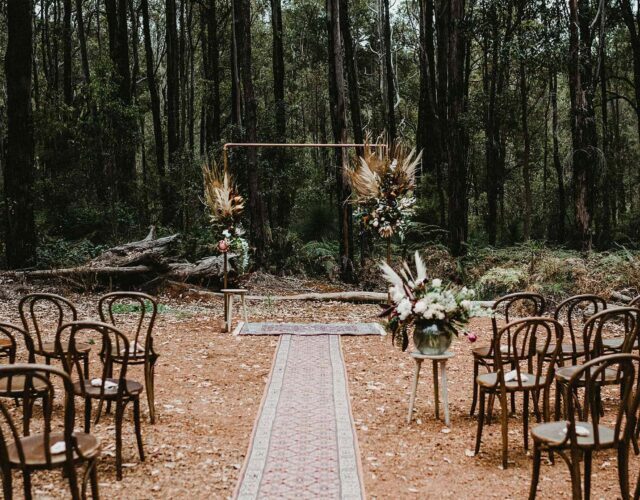 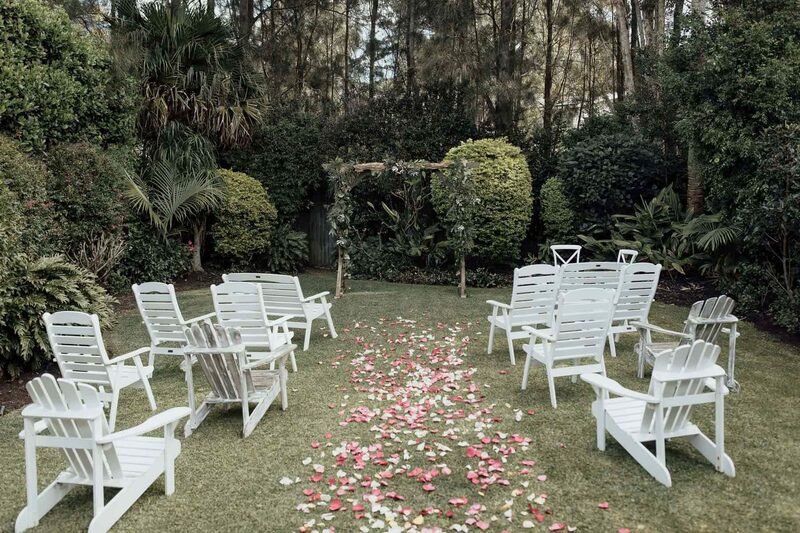 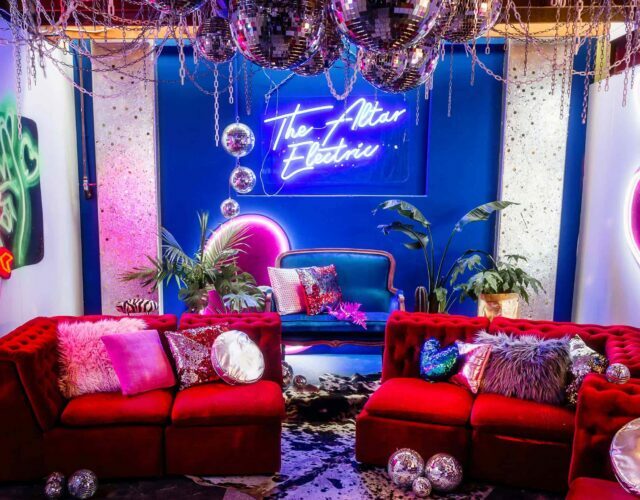 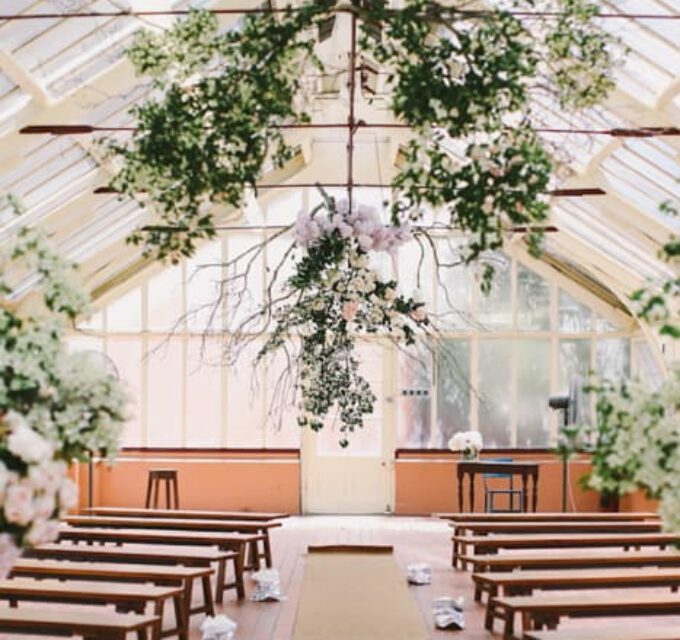 The bride styled the space herself using furniture hired through Simply Seating with table arrangements by Ispen Botanica. 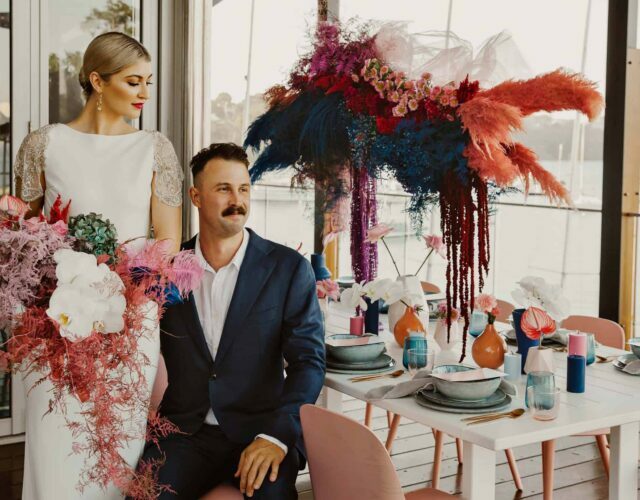 Officiated by Kate Douglas, Sophie and Baden exchanged surprise vows in front of 14 family members. 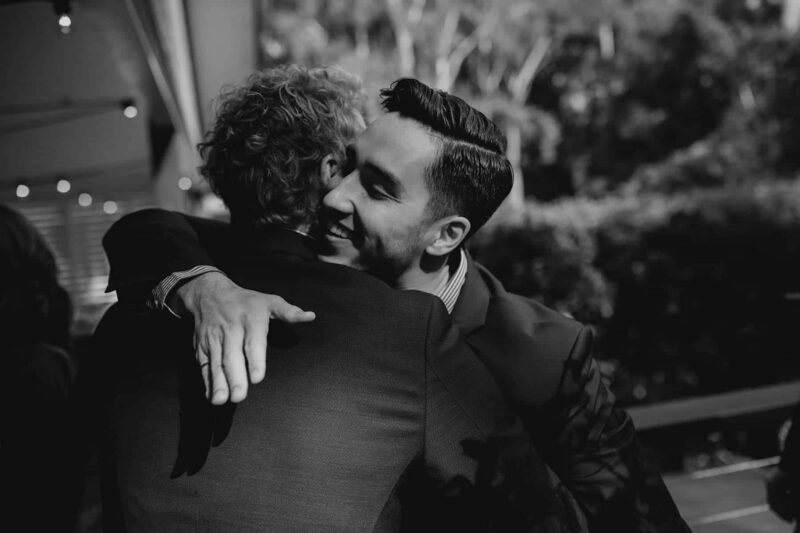 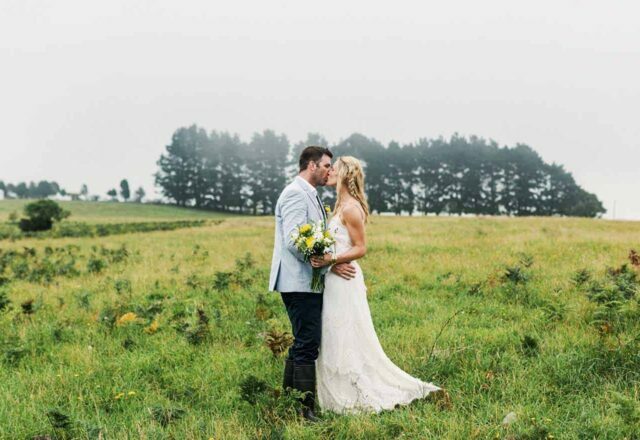 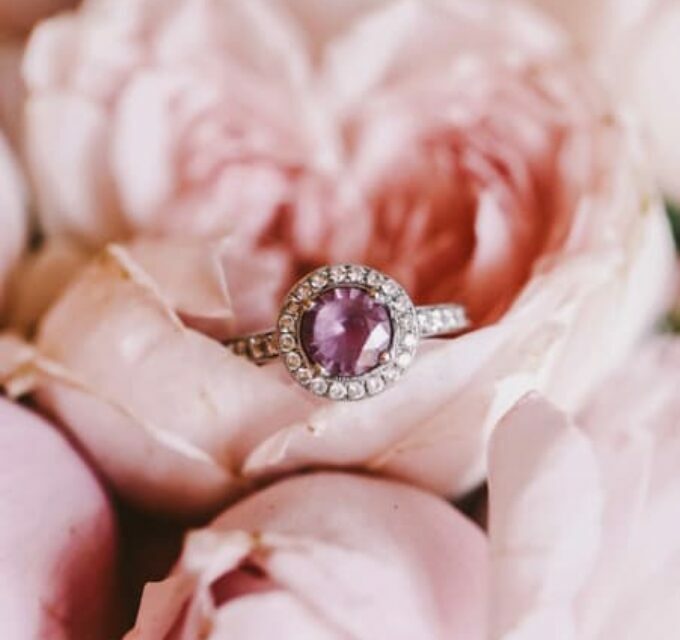 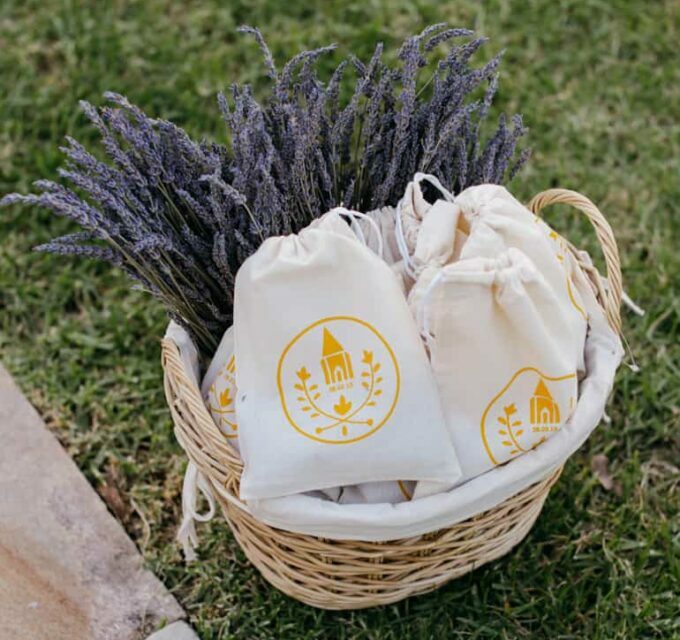 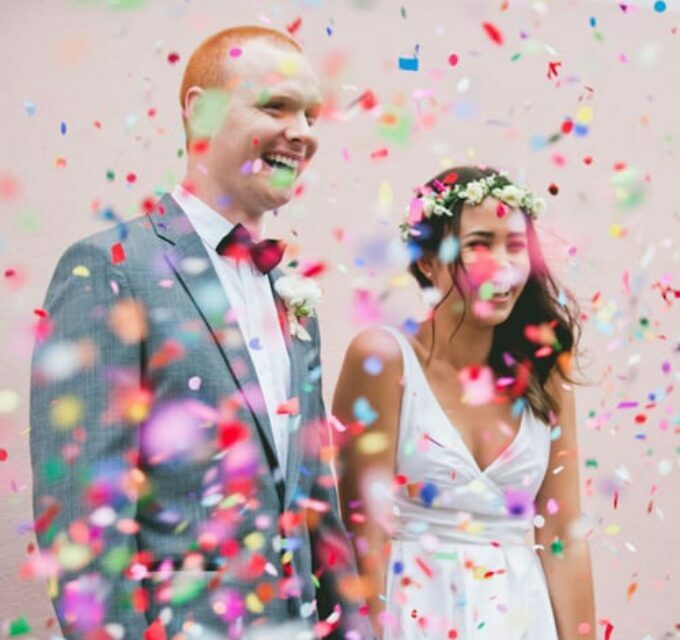 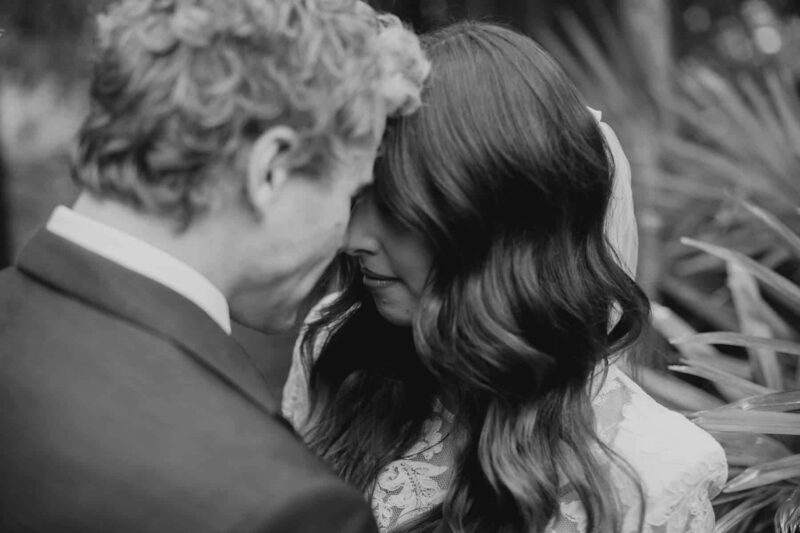 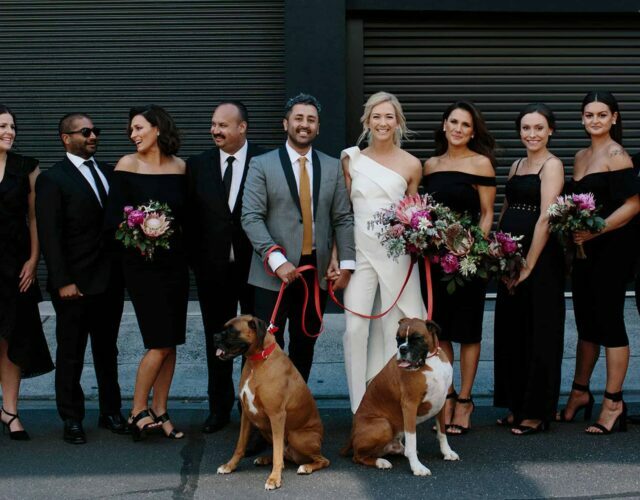 Sophie shares "Baden & I both wanted to keep the wedding ceremony small to just immediate family. 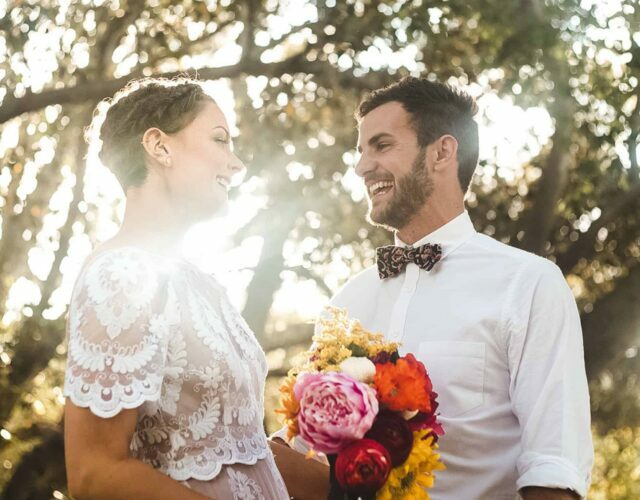 Since being 7 months pregnant I really wanted to marry Baden before the baby came to all have the same surname." 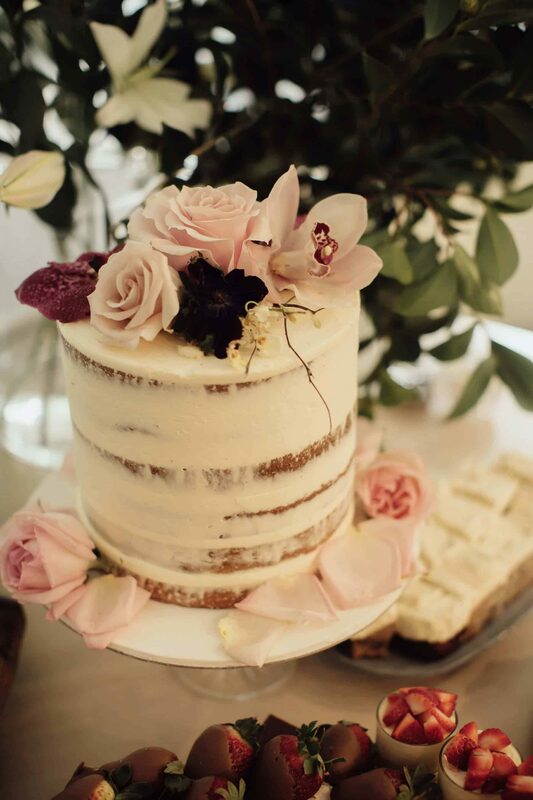 Laura of Tempting Treats created a simple yet stunning single tier wedding cake adorned with fresh blooms, matching the understated style of the day perfectly.